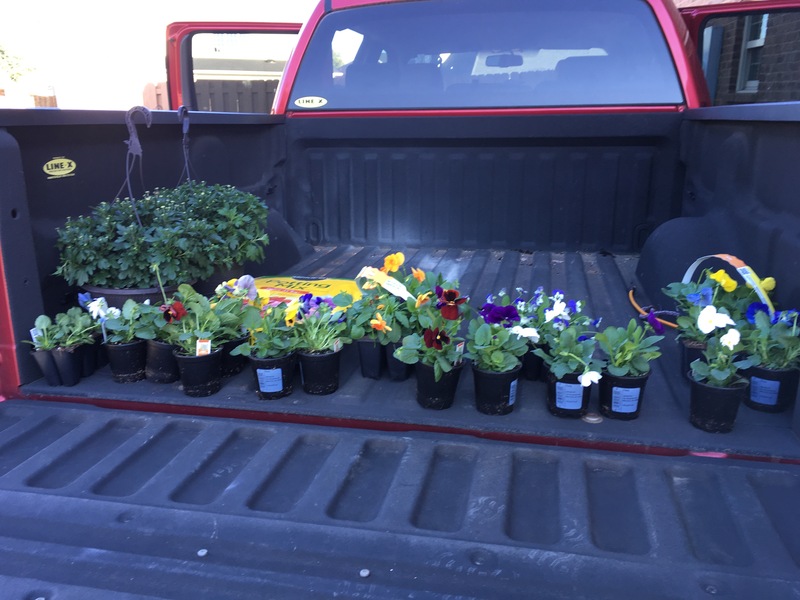 We made a trip to Home Depot to pick up some flowers for the fall and spring. I always love the flowers that Jason plants for me. Unfortunately I found a huge wasp nest under one of my porch tables. I ran away quickly to our neighbors driveway. I am sure it was quite a site for our neighbors. We now need to make another trip out to get some wasp spray because they all moved to one of our porch lights. I was planning to sweep the porch, but that will need to wait for another day.